Masterpiece Star Saber is now at ToysRUs, for $300. The first of two Year of the Goat toys has been found at a Myer in the ACT - Gen2 Optimus for $299. 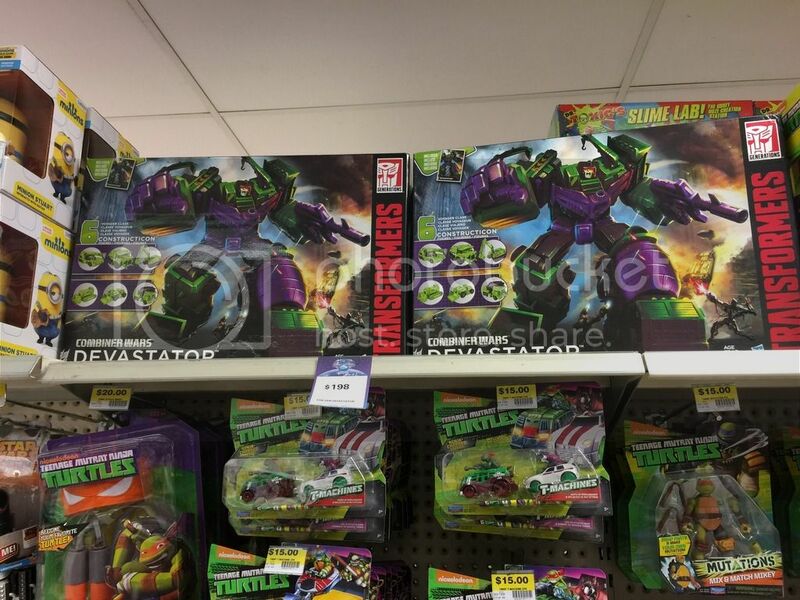 More of the RID Wave 2 toys have been found, Legion class Grimlock and Sideswipe, at Coles of all places. 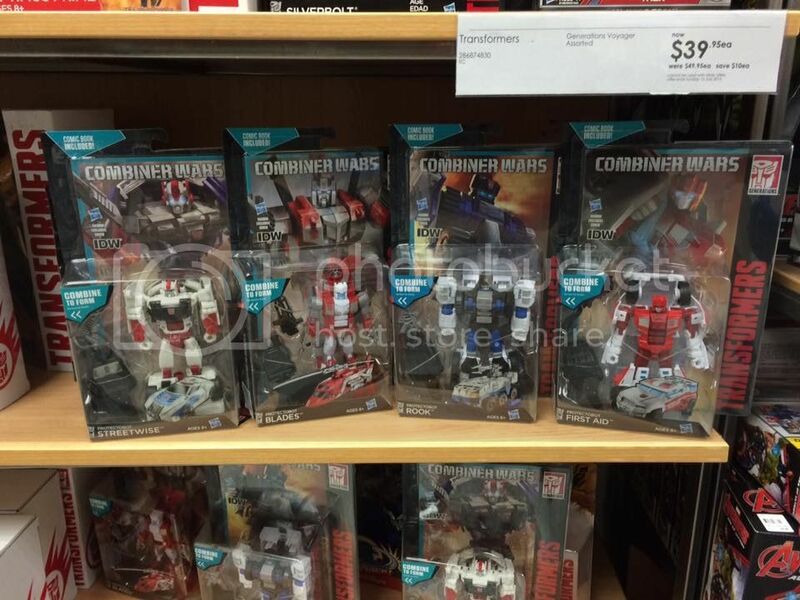 Coles at macquarie was wave 2 Robots In Disguise legion figures (Grimlock and Sideswipe). From the last week a few items that aren't mainline toys have appeared in some stores here. 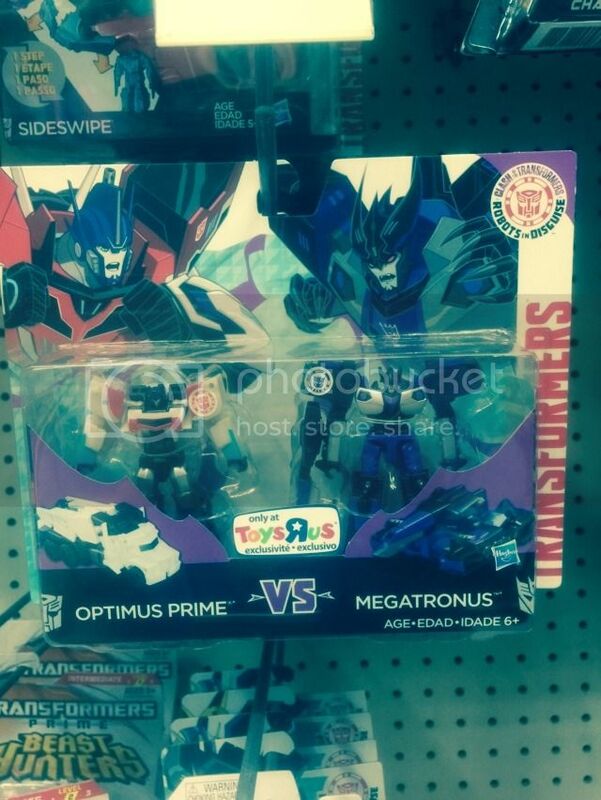 ToysRUs exclusive RID Clash Legion 2-packs (Optimus Vs Megatronus, Bumblebee Vs Underbite) - $25 each. ToysRUs exclusive Hasbro Masterpiece Bluestreak - $130. At Woolworth Sunnybank this week arrived a box of Kreo and a box of Tiny Titans. The Kreo is wave one from 2014 (wave 2 is the really rare set) for $4, while the Tiny Titans are wave 2 from this year. Last edited by griffin; 14th August 2015 at 02:48 PM. The RID Mega 1-step Optimus toy (black & red) has been found here, at ToysRUs. So new, it isn't in the system yet. 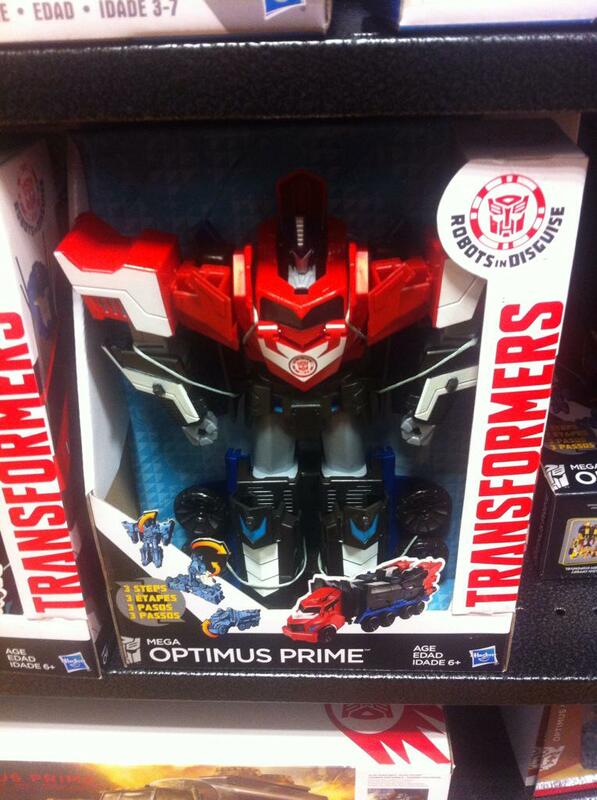 TRU parra had the new mega 3 step optimus in stock. one that minicons can attach to. wasnt able to scan up a price. Last edited by griffin; 13th June 2015 at 01:54 AM. RID 3-step Wave 2 Optimus found, at the same time as the Mega 3-step, confusing a lot of people with the different prices. 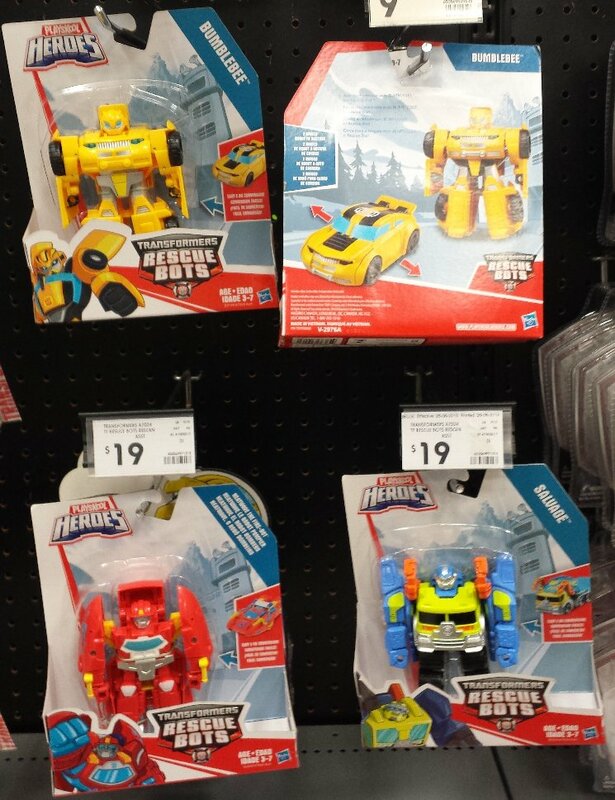 Rescue Bots Epic Salvage and Blurr now at Kmart (they are like Titans, but can hold a figurine in the chest). And RID wave 3 Legions now found at Coles, which has Underbite and Fixit. At Coles Hornsby today I found a Robots in Disguise Legion Underbite. Is that the wave with Fixit in it, I didn't know that was out here yet. Last edited by griffin; 26th September 2015 at 04:59 PM. HEAPS of new toys found in the last week. Generations Wave 3 Deluxes (Protectobots) - found at Myer first. 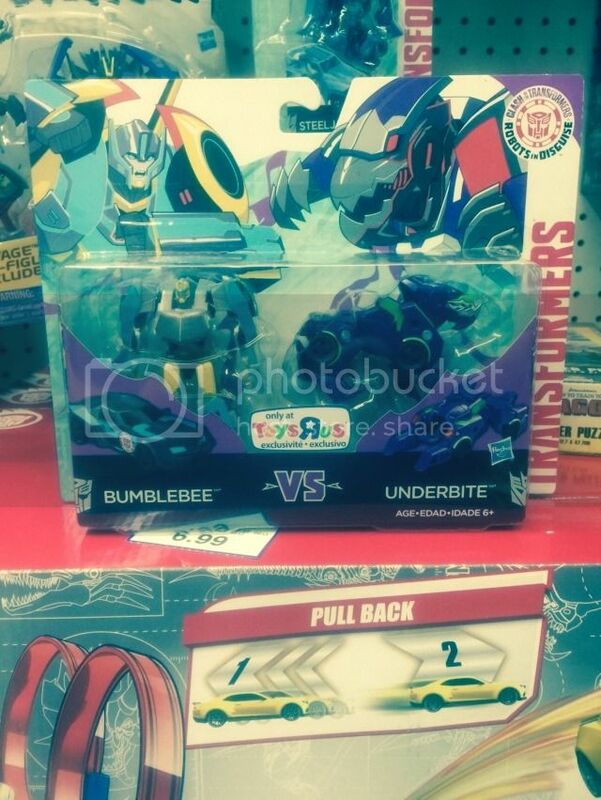 RID 1-step Wave 3 (Fracture, Thunderhoof, Drift) - found at Kmart and BigW first. 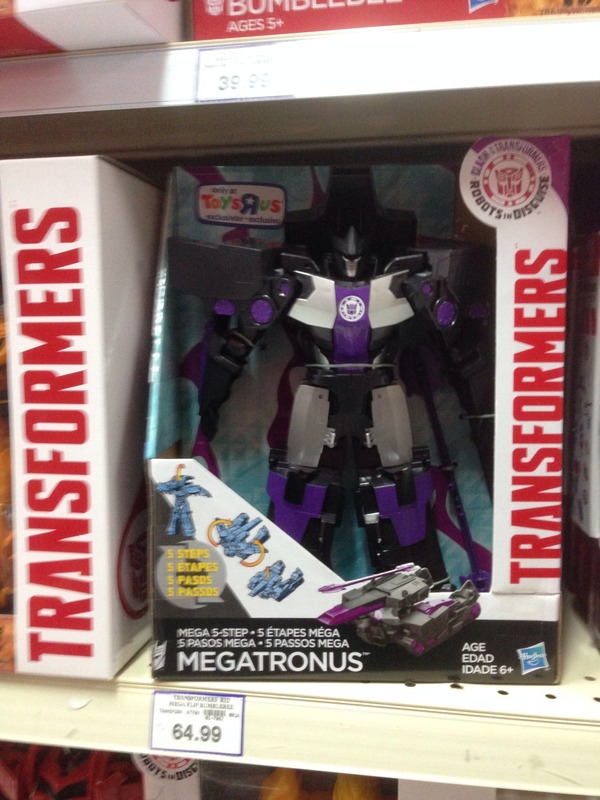 RID Ultra Megatronus - ToysRUs exclusive $65. Rescue Bots convertible Salvage - Kmart $19. Platinum Edition Blaster & Perceptor - ToysRUs exclusive $200. Last edited by griffin; 28th June 2015 at 01:25 PM. 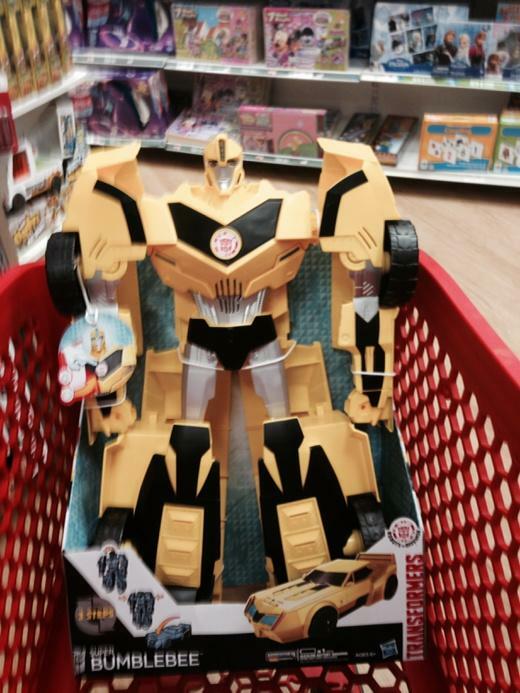 The case-mate of Rescue Bots Salvage (in the post above) is a new mould Bumblebee toy... which is at Kmart for $19. Heaps of Rescue Bots toys at Sunnybank Kmart. 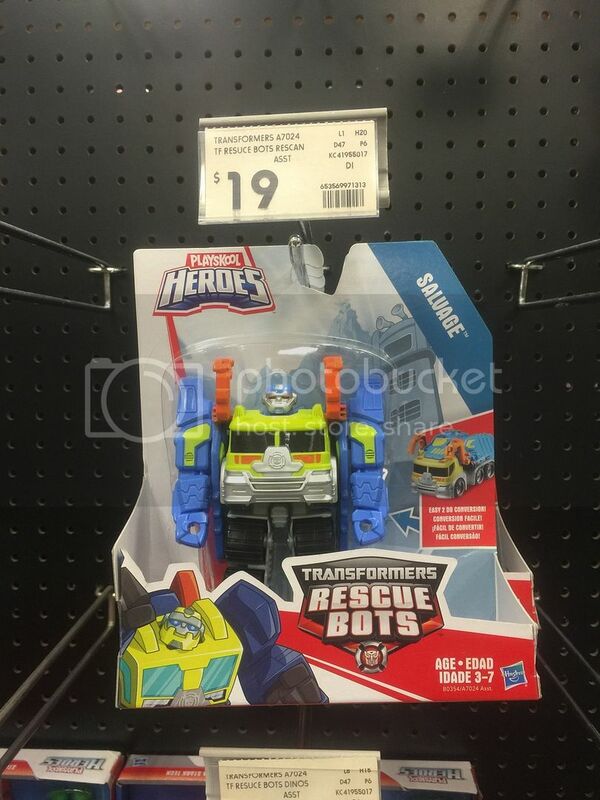 One thing that was new was the Convertible Rescue Bots Bumblebee, which is in the new style packaging that someone else had found a Salvage toy in a couple days ago in Sydney. Looks like Wave 3 AND 4 of the Generations Legions have arrived here, at the expense of Wave 2 (Blackjack, Huffer). Wave 3 has Groove, Warpath and Viper. Wave 4 has Skywarp and Rodimus. Wave 4 was only just found in Asia a couple weeks ago, and hasn't even been found in America yet. Big W QV/CBD had Wave 4 CW Legends: Skywarp, Rodimus, Warpath, & Groove (well I took the last groove). Was not scanning but got it checked out for $9. Last edited by griffin; 21st August 2015 at 10:00 PM. Edit to above posting - Retracting the sighting of Wave 3 and Viper. Viper hasn't been found yet, and Groove/Warpath could have been re-released in Wave 4. So we should wait a little while first and see if Wave 2 or 3 ended up going to another retailer who is still sitting on them at their warehouse before noting either wave as being completely missed here.